Looking for free printable crossword puzzles and word games for classroom lesson plans, homeschool and school homework. Here are thousands of free printable educational games, crossword puzzles, word games and word search puzzles. Teacher Vision has many free printable crossword puzzles on all sorts of subjects. 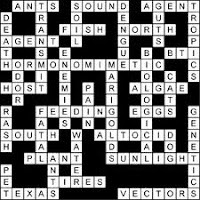 You can print crossword puzzles for science, literature, social studies, math, fine arts, history, geography and other lessons. Education world has free printable math crossword puzzles. Student Handouts is an awesome website with many educational games, puzzles school and homeschool printables galore. Here are free printable word search puzzles and word games for history, holidays, final exams content, art and other school subjects. There are also blank puzzle grids to make your own word search games based on specific content you're teaching. Speaking of making your own crossword puzzles, Discovery World offers free puzzle generator software for teachers and home educators. Education is mostly a pay website, but there are plenty of sample educational games and free printable word games and puzzles. Houghton-Mifflin Eduplace has free printable science crossword puzzles that correlate to textbooks. TSL books offers a bunch of free printable word search puzzles, educational games and activities on different themes and content. Enchanted Learning has countless free printable puzzles on an assortment of subjects for grades preschool to upper elementary. 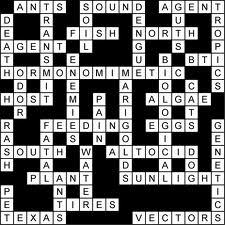 Word games include crossword, word search, fill in the blank, cloze and a nifty kind you don't see very often--rebus. Rebus puzzles use pictures in place of words, like hieroglyphics. Rebus puzzles are educational games and excellent for teaching emergent reading skills.